The trust has been established in the UK by Centre for Sight directors Sheraz Daya and Marcela Espinosa. Using UK derived donations and charitable contributions the objectives are to develop eye care in developing countries and promote innovative eye research in the UK. 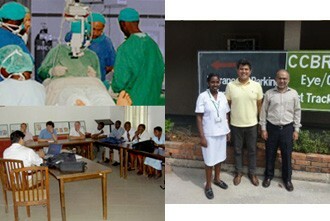 Initial activities supported by the Centre for Sight Trust is the education of ophthalmologists in developing countries. In December 2003, Sheraz Daya in collaboration with CCBRT (Christian Blind Mission), Dar-es- Salaam, Tanzania organised a Corneal update course for East African ophthalmologists. The course involved didactic teaching, clinical case studies and surgical demonstration of new techniques. Mr. Daya is pictured right with East African colleagues in the operating theatre demonstrating new techniques of deep anterior lamellar keratoplasty. In Feb 2005, Mr. Daya revisited CCBRT and provided a further update as well as operated on a number of highly complex corneal cases. 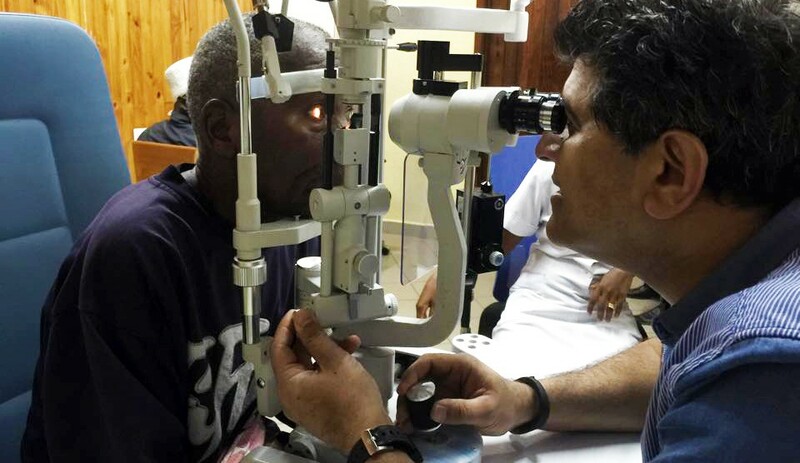 Sheraz Daya, Medical Director of Centre for Sight spent a considerable time seeing and treating patients at the Comprehensive Community Based Rehabilitation in Tanzania (CCBRT) hospital in Dar-es-Salaam in December 2015. This nongovernmental organization is a community hospital that treats patients with disabilities. Its eye department performs phenomenal work, and the ophthalmologists accomplish a large volume of surgery annually. 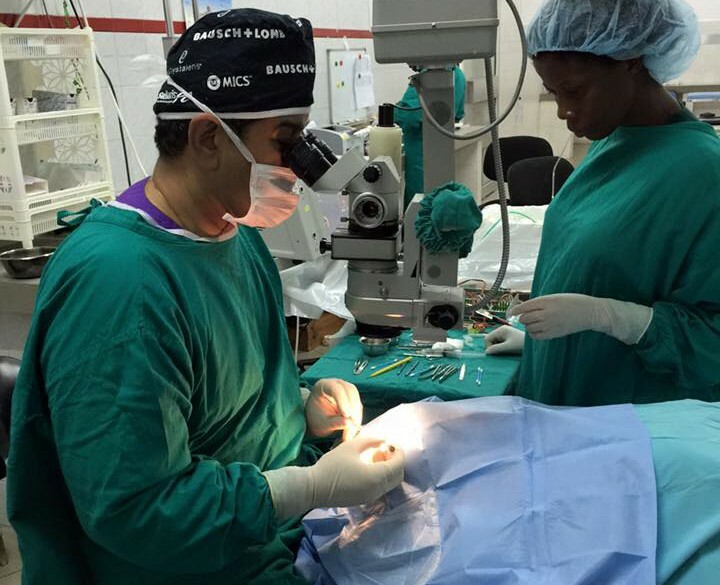 This was Mr. Daya’s second visit in 2015 where over 3 days, he performed 11 complicated corneal transplant procedures in patients with various age groups. Centre for Sight Trust appreciates VisionShare, a US-based not-for-profit consortium of eye banks and International Sight Restoration for all the support and donating corneal tissues. All procedures were successful, with patients who were blind obtaining early visual improvement. Sheraz Daya in his annual stint visited Comprehensive Community Based Rehabilitation in Tanzania (CCBRT)in April 2015. He was asked to evaluate over 40 patients with complex Corneal problems the majority of which required corneal transplants. All the patients were placed on a waiting list. The challenge is to now find enough corneal transplant tissue. Surplus tissue is often available at Christmas time and the plan is for Centre for Sight to obtain tissue from generous Eye Banks in the United States and perform 10 to 15 transplants, perhaps more over the Christmas period. Sheraz Daya and Marcela Espinosa were back at CCBRT in Dar-es-Salaam. Collagen Cross-Linking using refurbished equipment kindly donated by Light for Sight and IROC was taught to ophthalmologists by Marcela Espinosa (pictured) and Sheraz Daya. Numerous patients with corneal problems were evaluated and Sheraz Daya performed 9 corneal transplants on bilaterally blind patients ranging in age from 12 to 67 years. The majority of cases were had extremely advanced corneal problems including severe Keratoconus (pictured below before, during and after). Corneal grafts were kindly donated by Visionshare USA. Charitable status is in the process of being established and donations are welcome.